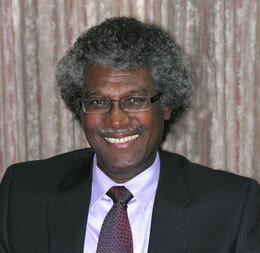 The Eastern Caribbean Central Bank (ECCB) family deeply mourns the sudden passing of the Hon. Sir K Dwight Venner, the second and longest serving Governor of the ECCB. On behalf of the Chairman of the ECCB Monetary Council, Prime Minister the Hon. Gaston Browne, and all members of Council, Board of Directors, management and staff (past and present) and retirees, we extend our deepest condolences and gratitude to Lady Lynda, his dear wife; his children; his brother, John (our colleague); his relatives and many friends. May the God of all comfort, comfort them at this exceptionally difficult time. Sir Dwight’s passing comes less than 8 weeks before the Monetary Council, in recognition of his immense contribution, had planned to honour him at a special ceremony at the ECCB Headquarters in St Kitts and Nevis. At that time, one of the buildings was to be named in his honour. It may be recalled that one of Sir Dwight’s many accomplishments was initiating and overseeing the construction and equipping of the current ECCB Headquarters. During Sir Dwight’s tenure as Governor, the ECCB grew in stature and service. He led many reforms. The banking and financial system expanded and remained stable throughout various financial crises. Above all, the EC dollar remained strong. Sir Dwight wrote extensively on the Eastern Caribbean Currency Union, development of the Caribbean and central banking. He was the architect of affiliate institutions such as the Eastern Caribbean Stock Exchange, the most modern in the Caribbean, and the Eastern Caribbean Home Mortgage Bank. He was an avid sports fan especially cricket and football. At the ECCB, he led and actively participated in sports. Sir Dwight demitted office on 1 December 2015, after 26 years as Governor. Following his retirement, he continued to serve as Chairman of the Eastern Caribbean Stock Exchange and the Eastern Caribbean Home Mortgage Bank. He was recently reappointed as the Chairman of the Eastern Caribbean Stock Exchange and chaired a meeting of the Board earlier last week. An illustrious Caribbean son has passed on but the legacy of Sir Dwight lives on. May his soul rest in peace.